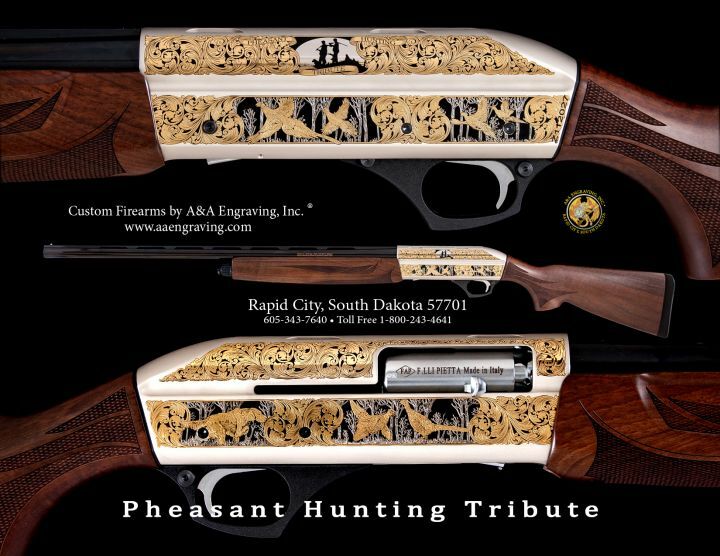 Upland and Waterfowl | Hunting & Wildlife | Inventory | A&A Engraving, Inc.
2016 model Commemoraitve for hunters and collectors. Personalization available. Finish: 5-tone Deluxe Nickel finish, hand-finished high gloss European Walnut checkered stock. Includes: Original F.LLI Pietta box w/paperwork, signed Certificate of Authenticity.